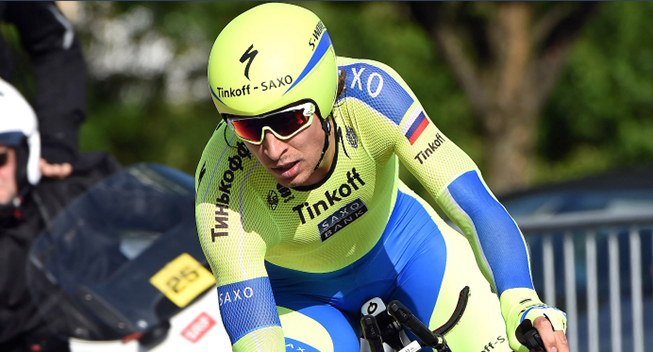 Peter Sagan (Tinkoff-Saxo) confirmed his status as the leading Slovakian rider when he took his first time trial title in his first ever participation in the national championships. The star rider beat Maros Kovas (Dukla Trencin) by 3.55 while Patrik Tybor (Dukla Trencin) was 4.12 behind in third. While he has won the road race championships four years in a row, Sagan has always decided to skip the TT championships. However, he has improved massively in the discipline in 2015 and so he decided to give it a shot in today's 2015 edition of the race. Being the only pro rider, Sagan was clearly the strongest, covering the 39km course in his home town of Zilina in 46.47. That was just 5 seconds slower than new Czech champion Jan Barta who claimed his title on the exact same route and is one of the biggest time trial specialists. Three-time champion Peter Velits (BMC) was absent due to injury. Sagan will be the big favourite in Sunday's road race where he will be supported by his brother Juraj and Michal Kolar.